I was very excited when i read The Star today. 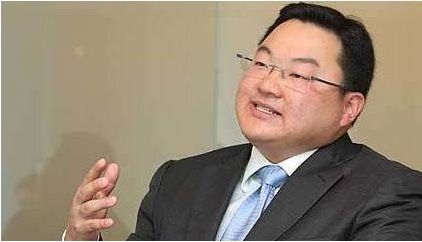 It features the International Mysterious Millionaire Taek Jho Low. Who the F is he? And i expect to see a PRINCE IN SHINING ARMOUR, riding a white horse..
Well, seems like he's no ordinary Jho! I'm 20 ++ & he's 20 ++..Why he so rich??? Why I'm so poor??? If i am as rich as him, i would be partying my way as well! If you poor, you have to work to get money.. If you are rich, your money will get more money for you. So, you don't have to work. Since there's no need to work, we can play all day long. Mix with the right rich people, and bathe in expensive champagnes. Even spiderman will bow to you! And your friends will all love you! Come to think of it, i don't have a millionaire friend. So i have decided that i wanna be a Millionaire! I better go hunt for HOT GUYS (without marijuana) to be my BFF first! If my bf become rich, he will go joli with other girls lor~!!! Say Goodbye to Freedom,Lindsay Lohan! What If I’m a Russian Spy??? I Love To Touch My BODY PHONE!